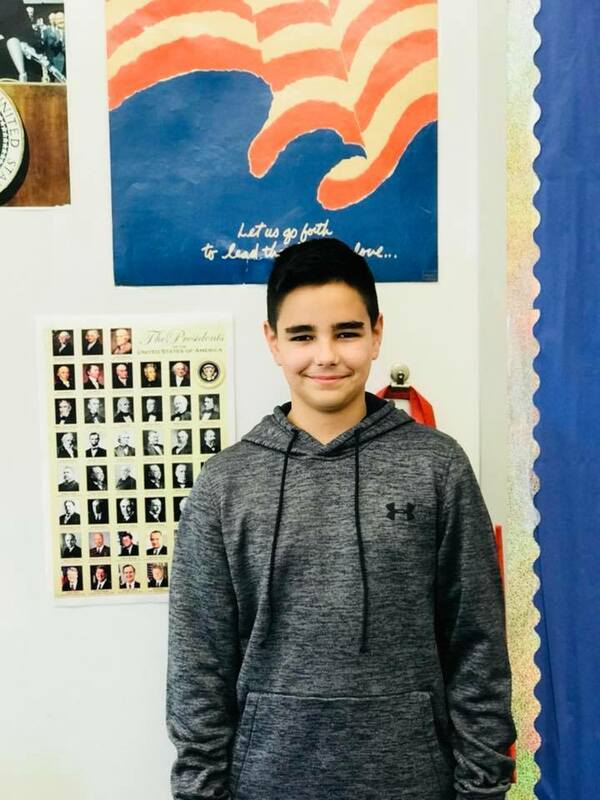 Huge congratulations are in order for 7th grade student, Chris Hovious, who recently learned he was the second place winner of the VFW essay contest, “Why I Honor the American Flag.” Mrs. Stefanie Phillis, Social Studies teacher, submitted the essay entries for her students. Chris received a cash prize and his essay will now be sent to the next level of the contest. He will also celebrate with a pizza party in January. Congrats Chris!